This report is devoted to the how to's to balance ph and achieve maximum health for your body. The various products and systems work as I have tested them myself and have had others use them as well to balance their ph. 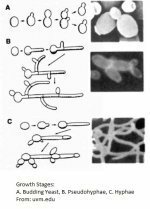 Don't over look this if you are trying to build a strong immune system, have any systemic yeast infection diseases, or any degenerative disease. Common toxic chemicals found in soaps, laundry detergent, deodorants, skin products, pesticides, chemical presevatives in processed foods, and acidic foods such as soda to name a few. 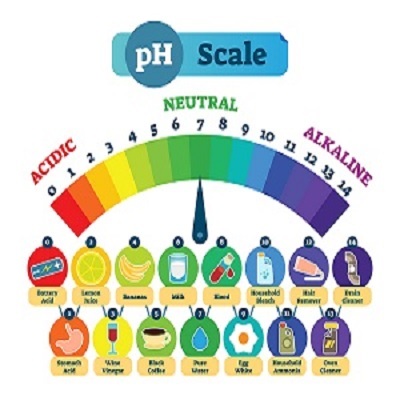 We know that these causes all contribute to cause metabolic acidosis and the body then uses calcium, potassium, magnesium, and other minerals to balance ph and remove this acidity. We also know that the foods we eat today, besides being greatly lacking in minerals and vitamins, are also enzymatically dead and almost completely worthless from a nutritional stand point. So we know there is no way to consume enough foods to get the required amounts of these minerals into our bodies to balance ph. If you are already taking a calcium mineral supplement and your ph is to low, then switch brands, that one is not being absorbed by your body and is for all purposes worthless. A proper balanced ph is also critical for the rebuilding of cells within your body. Every 7 years the body will completely replace every single cell in your body at least once. Without the correct minerals at the right amounts in your system, then this is not possible and degenerative diseases are the result. The ph test is a great indicator for monitoring your mineral content for your overall health and for the strength of your immune system, which is critical to beating yeast infections. I recommend a Calcium and Magnesium supplement to help raise ph levels. Make sure you take a Vitamin D supplement with a dash of Vitamin K2 as well so you don't calcify your arteries. If you eat plenty of fresh green leafy vegetables everyday, and get 20 minutes of sun, without sun screen, you really don't need these supplements. Another good way to balance ph is to drink alkaline water. This water, having a pH of between of 9 and 11, will first neutralize harmful stored acid wastes, and if you consume it every day, will gently remove them from your body. Yet, since the water is ionized, it will not leach out valuable alkaline minerals like calcium, magnesium, potassium, or sodium. In Japan doctors have been balancing ph in their patients for over four decades with alkaline water. They believe that the immune system looses its power to throw off disease when the body becomes too acidic. They advocate drinking alkaline water and eating alkaline foods. Asian medicine assigns two categories to human diseases: communicable and adult. Contagious or communicable diseases are caused by viruses and bacteria. Influenza, the common cold, aids, plagues, all fall into this category, and medical doctors are quite proficient at treating them. Adult diseases include heart disease, cancer, diabetes, high blood pressure, gout, arthritis, kidney diseases, hemorrhoids, asthma, hay fever, allergies, obesity, tooth and gum disease, skin disorders, and many others. They are caused by poor circulation, by deficient cellular activity, and by the accumulation of acid wastes in the body. Asian medicine says that many adult diseases can be treated by alkalizing the bloodstream to balance ph. Medicine in America does not attempt to remove acid wastes from the physiological system or balance ph; so it is no wonder that today's modern alopathic medicine is rather deficient in treating adult diseases. Even if the medicine supposedly cures the disease, if the acids are not removed from the body, the treatment's effectiveness will at best only be temporary. A water distiller can be a great cost effective way to balance ph because of their low cost and great water purifying abilities. Water distillers purify water by heating it so it steams. The steam is then collected in a steam collector and condensed back into water and deposited into a container completely pure of all contaminants. All the contaminates are collected in the heating side of the distiller for easy clean up after you have processed a gallon of water. This can really be quite sickening when used with tap water and many so called spring waters, you will probably never drink this water again once you see what is left behind. Most water distillers do have pre-filters to reduce the amount of contaminants that have to be cleaned out of the unit. They also make a gallon of water in about 4 hours using very little power and have very little noise. A water distiller can be extremely cost effective, they remove everything from the water including all minerals, and reduces the water to 1 part hydrogen and 2 parts oxygen which is true water. This water has an alkaline rating of 7.0 which is neutral. By removing these minerals from the water the kidneys no longer have to filter these minerals from the body. The aurgument can be made that these minerals are good for you, when in all actuality these minerals come from rocks and not plants. They are not bio-available to the body which is meant to get its minerals from plants in an ionic form. Distilled water also removes toxins from the body, not ionic minerals, and takes a strain off of the kidneys. At this point I would now add Liquid Minerals to the water. Liquid Minerals are a concentrated Ionic Trace Minerals formula from the ocean. 4 or 5 drops per quart is all you need and you will notice a difference. To me the water tastes better and is more wet, it feels like it is really hydrating you. Another very simple way is to mix a half glass of water with a half glass of lemon juice and drink it. Follow this glass with another glass that is half water and half grapefruit juice. This not only makes you more alkaline but also helps clear out the mucous accumulations from the night before.